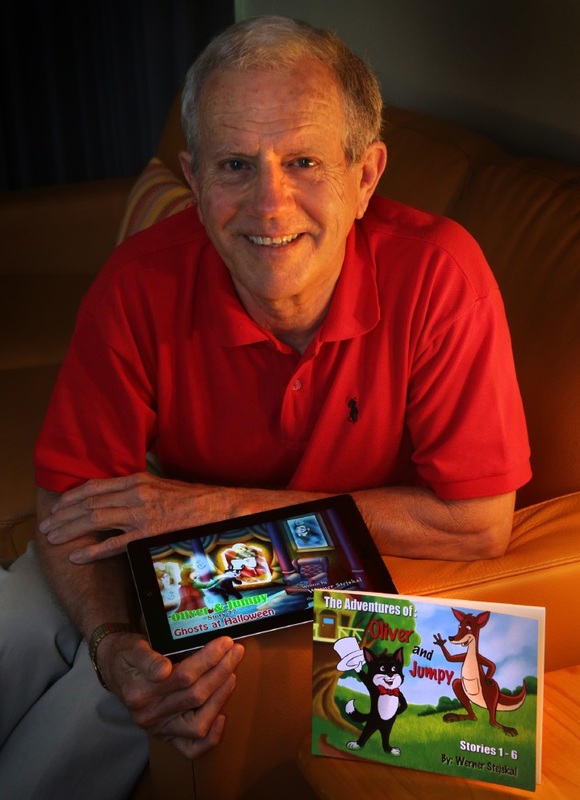 SORRENTO’S Werner Stejskal has had a very busy three years creating the Oliver and Jumpy picture book series for young children. “Oliver is a tuxedo-wearing cat and Jumpy is his kangaroo friend,” the Austrian-born author said. “They are best of friends and experience many adventures together. Stejskal said he was inspired to write the series after watching the movie The Magic of Belle Isle on a flight from Europe to Australia. “In the movie, Morgan Freeman teaches a little girl to have imagination and write her first story,” he said. “This inspired me as well and the first stories with Oliver and Jumpy made their appearance. “There are lots of fairytales and bedtime stories around and many of them are quite violent and unsuitable for young children. He said he enjoyed writing for children. “I like parents telling me how much their little ones enjoy the illustrations and fairly unusual scenarios,” he said. “I try to be very different with the quality of the illustrations and the language used; I believe in using adult language even with small children. Stejskal has 20 books planned for the series, which features the work of five different illustrators, and will then consider translating them to other languages. Ultimately, he would like to turn them into a television series. He is also considering a second series featuring an emu and a koala. The books are available from www.amazon.com.